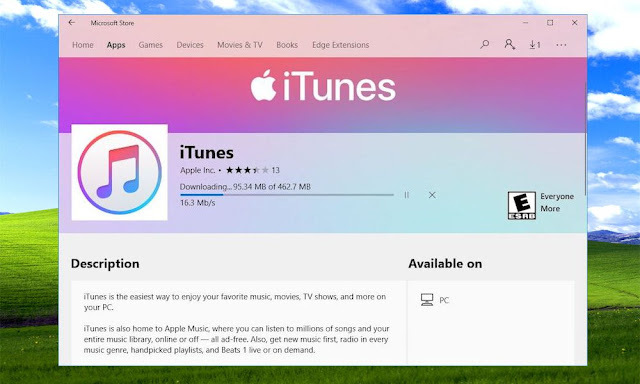 Apple has at last fulfilled its promise of creating a Universal Windows version of iTunes that can be downloaded from the Microsoft Store. At the Build conference a year ago, the tech giant announced that it would be bringing a native version of the iTunes app to the Microsoft Store. During the event, the firm promised that Windows users would be able to download the application by the end of 2017. However, that never happened. Up until now, Windows users have only been able to access iTunes by downloading the software directly from the Apple website. However, the iPhone maker decided to launch a Microsoft Store version of iTunes to ensure it works with Windows 10 S devices. It’s essentially a more secure version of the Windows operating system, only letting you download software from the Microsoft Store. “Your applications are delivered via the Microsoft Store ensuring Microsoft-verified security and integrity,” explains Microsoft. The app is almost identical to other versions of iTunes, giving you the ability to manage Apple devices, purchase music, films and TV shows, and access Apple Music. But when Apple prepares future updates for the application, it’ll have to comply with the Microsoft Store’s terms and conditions. They’ll be released via the store.